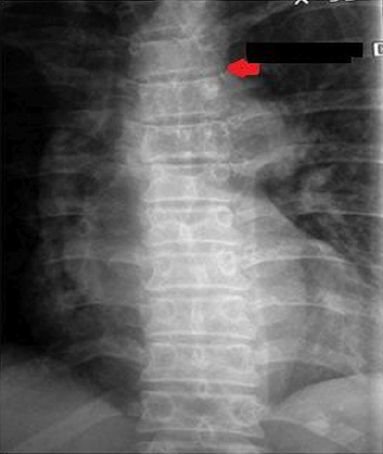 Background: Spinal lesions with features of compressive myelopathy and radiological images showing signal enhancement in the vertebral body and paravertebral regions raise the suspicion of spinal tuberculosis, mainly in an endemic/developing country. Methods: Here we present a rare case of a lesion mimicking spinal tuberculosis. The further excision, decompression and spinal fixation were performed after a biopsy. Results: The lesion in the case was confirmed as hemangioma, which was clearly diagnosed by means of digital substraction angiography. Conclusion: This work highlights the use of angiography as an important preoperative diagnostic tool for spinal diseases. Background: Artificial hip replacement by the posterolateral approach is generally introduced as a treatment for femoral neck fracture in the elderly, but it is limited by the need for a large incision, cutting off the extortor, and postoperative hip dislocation. The supercapsular percutaneously-assisted total hip (SuperPATH) approach was developed based on the original lateral approach. The SuperPATH approach for hip replacement is characterized by the reduced chance of damaging blood vessels and nerves, reducing intraoperative blood loss, retaining all the joint capsules and supinator, and significantly reducing the incidence of postoperative hip dislocation. Given these advantages, we hypothesized that the SuperPATH approach for hip replacement can achieve better efficacy in the elderly with femoral neck fractures and promote the recovery of postoperative hip function compared with the posterolateral approach. Methods/Design: This is a prospective, single-center, open-label, randomized controlled clinical trial that will be completed at the Pudong Hospital of Fudan University, Shanghai, China. 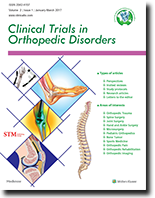 Forty patients with femoral neck fractures were randomly divided into two groups to undergo femoral head replacement by the SuperPATH approach in the experimental group, and by the conventional posterior approach in the control group. The follow-up period is 1 week and 6 months. The primary outcome measure is Harris hip scores at baseline, and at 1 week and 6 months postoperatively to assess functional recovery of the hip. Secondary outcome measures to evaluate the advantages of the SuperPATH approach include the length of surgical incision, intraoperative blood loss, operative time, 24-hour postoperative drainage, and hospital stay. Other outcome measures include the incidence of adverse events at 1 week and 6 months after surgery. Discussion: The aim of this trial is to test our hypothesis that the SuperPATH approach is safer and more reliable for hip functional recovery compared with the posterolateral approach for the artificial hip replacement in femoral neck fractures of the elderly. Trial registration: ClinicalTrials.gov identifier: NCT03134664. Ethics: The study protocol was approved by the Ethics Committee of the Pudong Hospital of Fudan University, China, and performed in accordance with the guidelines of the Declaration of Helsinki, formulated by the World Medical Association. Informed consent: Written informed consent was obtained from all participants prior to the trial commencement. Background: Reducing perioperative blood loss in total hip arthroplasty is a hot topic for joint surgeons. Both intravenous infusion and intra-articular injection of tranexamic acid significantly reduce perioperative blood loss, blood transfusion volume, and need for blood transfusion in patients undergoing total hip arthroplasty. However, differences between the intravenous and intra-articular methods are not clear. This study will evaluate the effects of these two tranexamic acid administration methods on perioperative blood loss in patients undergoing total hip arthroplasty. Methods/Design: We are conducting a prospective, single-center, open-label, randomized, controlled clinical trial at the Tengzhou Central People's Hospital, China. Ninety patients undergoing unilateral total hip arthroplasty have been randomized into three groups. In the intravenous infusion group (n = 30), 15 mg/kg tranexamic acid diluted in 100 mL physiological saline was infused intravenously at the beginning of surgery and 20 mL of physiological saline was injected intra-articularly after deep fascia suturing. In the intra-articular injection group (n = 30), 100 mL of physiological saline was infused intravenously at the beginning of surgery and a mixture of 1.5 g tranexamic acid and 20 mL physiological saline was injected intra-articularly after deep fascia suturing. In the control group (n = 30), 100 mL of physiological saline was infused intravenously at the beginning of surgery and 20 mL of physiological saline was injected intra-articularly after deep fascia suturing. The primary outcome is hidden blood loss at 1 and 3 days postoperatively. The secondary outcomes are visible blood loss, need for blood transfusion, and mean blood transfusion volume intraoperatively and on days 1 and 3 postoperatively. Other outcomes are the incidence of adverse events and complications within 3 months of surgery. Discussion: This trial was designed in April 2015. Cases were collected in July 2015. Data analysis will be finished in December 2017. 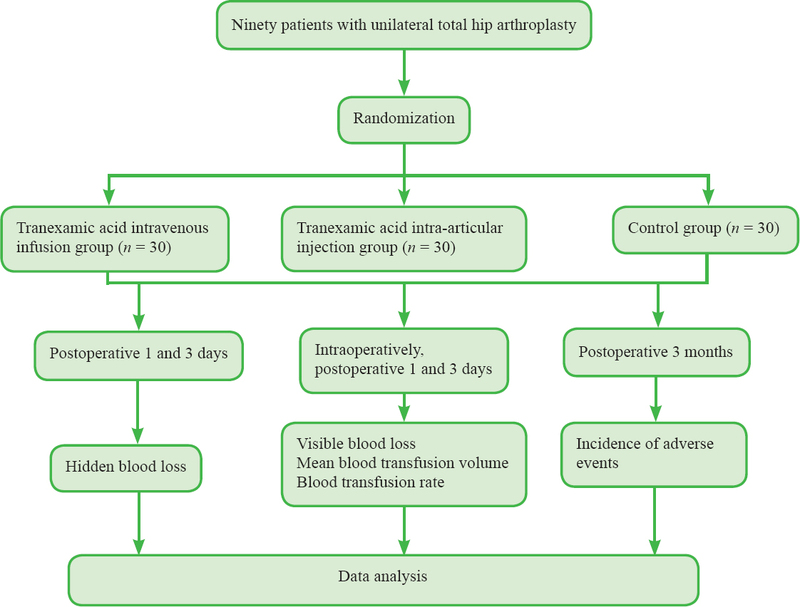 This study is designed to investigate the effects of intravenous infusion versus intra-articular injection of tranexamic acid on perioperative blood loss in patients undergoing total hip arthroplasty to determine the more effective mode of administration. Trial registration: ClinicalTrials.gov identifier: NCT03157401. Ethics: The study protocol has been approved by the Ethics Committee of Tengzhou Central People's Hospital of China, approval number 2015-026. All protocols were in accordance with Declaration of Helsinki, formulated by the World Medical Association. Informed consent: Written informed consent was obtained from all participants. Background: Elderly patients often suffer from postoperative cognitive dysfunction after total hip arthroplasty, but the precise mechanism remains unclear. Sevoflurane regulates the concentration of basic fibroblast growth factor in the brain, but it is not known whether sevoflurane can decrease cognitive dysfunction after hip arthroplasty. We hypothesized that lumbar plexus-sciatic nerve block combined with sevoflurane could reduce the incidence of cognitive dysfunction in elderly patients after hip arthroplasty. Methods/Design: We conducted a prospective, single-center, open-label, randomized, controlled clinical trial at the Affiliated Hospital, Qinghai University, China. Seventy elderly patients undergoing unilateral total hip arthroplasty were randomized into two groups. All patients underwent endotracheal intubation and mechanical ventilation. In the experimental group, a lumbar plexus-sciatic nerve block was performed and general anesthesia was maintained with sevoflurane. In the control group, general anesthesia was maintained with intravenous propofol. Outcomes were measured preoperatively and on the first and third postoperative days. The primary outcome measure was the Mini-Mental State Examination, and the secondary outcomes were the Montreal Cognitive Assessment, serum basic fibroblast growth factor concentration, intraoperative blood loss, and operation time. The other outcome was the incidence of intraoperative and postoperative adverse events. 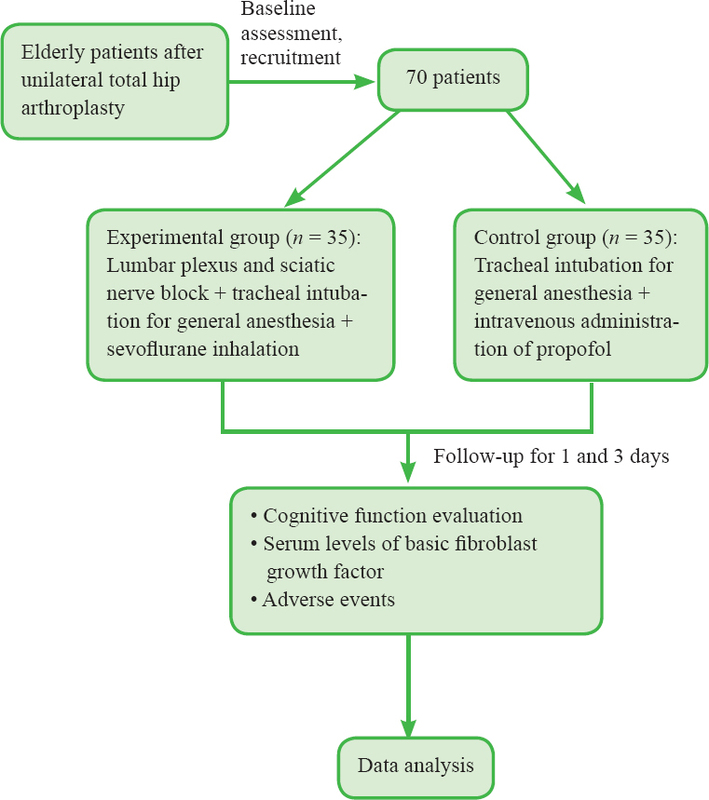 Discussion: This trial examined whether lumbar plexus-sciatic nerve block combined with sevoflurane reduced the incidence of cognitive dysfunction in elderly patients after hip arthroplasty, documented the changes in serum basic fibroblast growth factor concentration, and further explored the therapeutic mechanism of sevoflurane. Trial registration: ClinicalTrials.gov identifier: NCT03162861. Ethics: The study protocol has been approved by the Ethics Committee of Affiliated Hospital of Qinghai University of China. All protocols will be in accordance with Declaration of Helsinki, formulated by the World Medical Association. Informed consent: Written informed consent was provided by participants prior to enrollment in the trial. Background: Internal and external fixation combined with autologous bone graft for the treatment of atrophic nonunion has a long treatment cycle, and there remain cases where the nonunion cannot be cured. Platelet-rich plasma contains a variety of growth factors and a large number of white blood cells, and contributes to tissue healing. However, there have been no clinical studies on the effectiveness of platelet-rich plasma combined with conventional surgery in the treatment of atrophic nonunion. Methods/Design: We conducted a prospective, open-label, randomized, controlled clinical trial at the Affiliated Hospital of Qinghai University, China. Ninety-two patients with atrophic nonunion of femoral shaft fractures were equally and randomly divided into a control group and an experimental group. The patients in the control group received conventional surgery, while the patients in the experimental group were injected with autologous platelet-rich plasma in addition to receiving conventional surgery. The primary outcome was fracture healing rate at 9 months postoperatively. The secondary outcomes were visual analogue scale scores for resting state and passive motion, healing time, treatment costs, and adverse reactions. Our partial results revealed that the visual analogue scale scores and complications were similar between the two groups on postoperative days 1–3. The healing rate was significantly higher in the experimental group compared with the control group. The healing time was significantly shorter in the experimental group compared with the control group. Discussion: The present trial was designed in August 2014, and case recruitment was completed in September 2016. Data for the last case will be collected in June 2018, and the data analysis will be completed in December 2018. The trial will provide objective data on the clinical use of platelet-rich plasma combined with conventional surgery for the treatment of atrophic nonunion. Trial registration: ClinicalTrials.gov identifier: NCT03129971. Ethics: The study protocol has been approved by the Ethics Committee of Affiliated Hospital of Qinghai University of China (approval number: QHG0223A). Informed consent: Written informed consent was obtained from all participants. Background: Repair of orbital blowout fractures faces a lot of complications and difficulties to restore and reconstruct the exact position of the orbital bony skeleton especially at the orbital rims, and also a difficulty in restoring the functions of the orbital soft contents such as the muscles, the globe and the lacrimal system. Methods/Design: This prospective randomized controlled trial with a two-arm, parallel-group structure evaluating the efficacy of endoscopic transantral surgical versus traditional transorbital surgical approaches in the treatment of orbital blowout fractures will be conducted at Faculty of Oral and Dental Medicine, Cairo University, Giza, Egypt. Thirty-eight patients with diplopia due to orbital blowout fracture will be recruited. All patients will undergo CT, pulse test, and forced duction test. The primary outcome measure is the diplopia resolution detected intraoperatively via forced duction test. The secondary outcomes include the enophthalmos correction, preservation of orbital floor periosteum and exacting/equalization of the injured bony level on the non-injured side. Discussion: The results of the trial will support better decision-making for surgical treatment in orbital blowout fractures. Trial registration: ClinicalTrials.gov identifier: NCT03011047 registered on January 4, 2017. Ethics: This protocol and the template informed consent form was approved by the Ethics Committee of Scientific Research, Faculty of Oral and Dental Medicine, Cairo University, Egypt (February 2017). Informed consent: Written informed consent will be obtained from all participants prior to the trial.